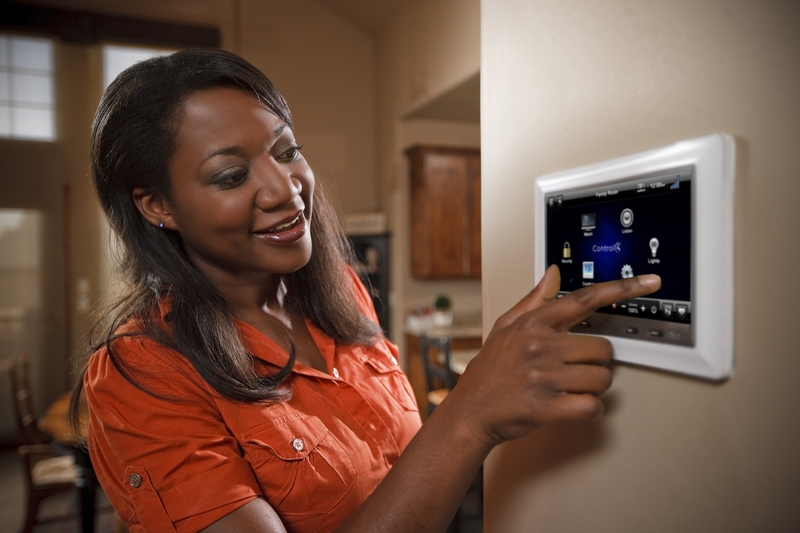 At the heart of any home security system are the keypads and modules. These parts are basically the "brains" of your system. This usually consists of the physical device that you will use to control your system. Depending on your lifestyle, you might have several keypads, but there is usually just one "box" or module where all the components of your system connect. For example, you might have a keypad by your front door if that is usually where you enter your home after being away. You could also have a keypad by your bed so that you can control the components without having to leave your bedroom, or even by your garage door where you can control the system before you go into your home. Owning a home security system is of little use unless it has the means of communicating with the box or brains of your home. This is where the sensors and accessories to your system come into play. Sensors and accessories can be as few or as numerous as you wish them to be, but much of this depends on your home and what you consider to be most important to you, and they consist of the window and door contacts, glass breakage indicators, motion detectors, pressure mats, panic buttons, fire detectors, and much more. These sensors and accessories are what actually tell your system what is going on and what needs to be attended to. For example, if someone were to break into your home, they would need to open a door or a window, or break glass to gain access inside. With a sensor at that point, the breaking action would trigger a sensor, which alerts the system box that there was trouble. If, on the other hand, there was a fire or some kind of disturbance inside of your home, a detector would be able to send a signal to the box indicating what the problem is and in what part of the house. In rare instances, homeowners will have an audible alarm on their home to distract someone who is trying to break in. Unfortunately, there is little that is usually done in these instances. For the most part, however, home security systems are connected to either a central monitoring system or directly to the authorities. These might include the police and/or fire department. In most cases, once a sensor detects a problem of some sort, the problem is identified and a signal is sent to the monitor who verifies the problem. Once verified, the authorities are contacted for the appropriate response, whether that be for police, fire, and/or medical authorities. Just as is the case with so much today, technology has advanced to the point where if you are either at home or away, you have better control over what is going on at your home. Not only that, but insurance companies offer substantial discounts on their rates for having this protection. There's no doubt that a home security system is essential if you really want to have peace of mind.